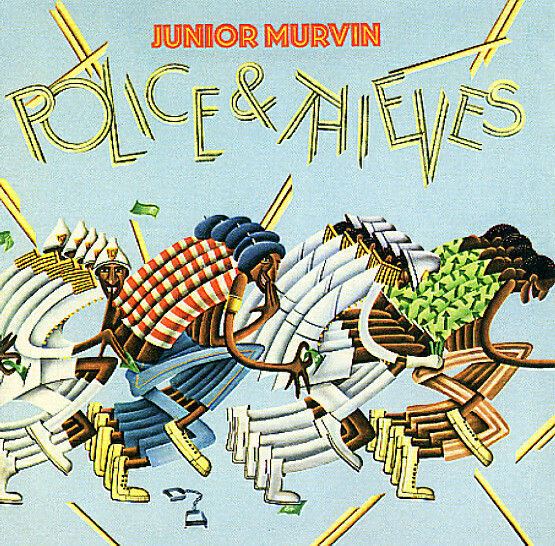 The all time classic from Junior Murvin – as essential as any late 70s reggae! Production-wise, Police And Thieves is among Scratch's finest moments, from the most monumental period in Perry's career, during the height of the Black Ark. The title track needs no introduction from us, and the rest of the record is solid, funky roots rock, at a level Murvin would not match again in his career. His sweet falsetto is draped in the dense, murky production that carved a niche in history for Perry. Tracks like "Roots Train" and "False Teaching" are the embodiment of crucial, and the album is filled with other great cuts like the now classic title track, "Rescue Jah Children", "Tedious", "Easy Task" and "I Was Appointed". © 1996-2019, Dusty Groove, Inc.